- Freya starts off with 150 stacks of her "Attuned to Nature" buff, making it impossible to out DPS her constant self-healing ability. Killing all the adds that periodically spawn throughout the fight remove stacks of this buff. -Ancient Protector (a large add with over 1mil HP in 10 man. The raid must be stacked under the mushrooms that spawn in order to avoid his silence aura.) He also throws out a debuff which works similar to that of phase1 of Lady Vashj, if you have it, move away from raid members. - Detonating Lashers (a bunch of small adds, they do not have a lot of HP and are untankable. When they die they explode for a solid amount of damage, so be careful when dealing with these). - Snaplasher, Storm Lasher and Ancient Water Elemental (Three adds who must be killed within ~12 seconds of each other, or they will come back to life. The Snaplasher becomes stronger and slower over time, the Storm Lasher does AoE lightning abilities, and the ancient water elemental does a frontal AoE attack). Note: On 25 man, I strongly reccomend having your tank kite snaplasher when he begins reaching ~40 stacks of his debuff (assuming elder ironbranch is dead). This fight is shockingly simple on 10 man. We just nuked the Protector, and AoE'd the Lashers. We also just AoE'd the 3 adds, although we made sure to kill them at roughly the same time. Once Freya's stacks reach 0, the adds will stop spawning, and the fight becomes incredibly easy. Merely DPS her down, kite her out of the roots on the ground which spawn (they explode and knock people back while dealing damage). 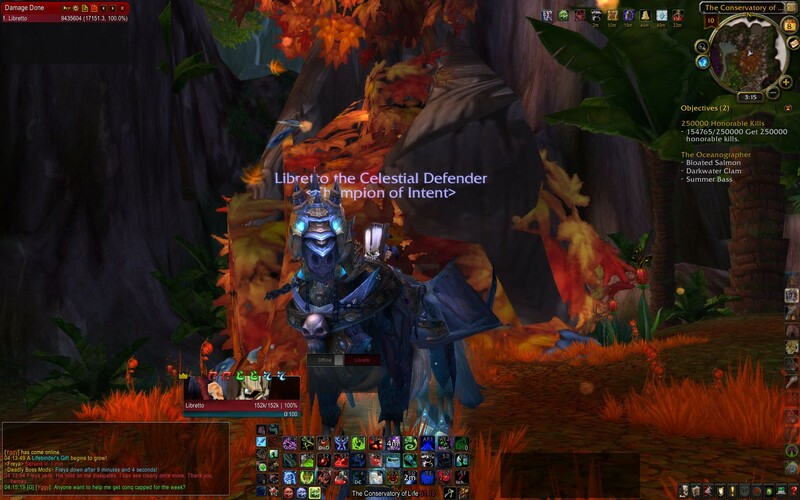 1 Elder Alive: We left up Elder Ironbranch for our attempts for 1 Elder. The fight was still pretty basic, the healing becomes slightly more intense. We had our DPSers create a macro: " /tar strength" to target the Strengthened iron roots freya casts. The only change we made was the add tank (me) began kiting snaplasher once he began reaching ~40 stacks of his debuff. 2 Elder: We left up Elder Ironbranch and Elder Brightleaf. In addition to the fast iron-root killing, we also had to worry about the beams of light spawning. Simply step out of them ASAP (if you're rooted in one, yell at people to break you out fast). The main phase of concern is the Detonating Lasher phase. We handled this by stacking in freya's melee range for the lashers. We AoE'd them down to approximately ~20% hp, then we had our hunter drop a frost trap and our mage nova them, we then ran away and began aoe'ing them down, if there were a few left alive out of the trap, we simply focus fired them down in between raid heals. Also, during the Trio phase (Storm/Snap/Water Spirit), I reccomend having atleast 1 interrupt class focused on stopping Stormlasher's Stormbolt ability. Wow, I was amazed seeing the spam in my log when I opened it. Presumably, this encounter will be similar to Sartharion and his drakes, with each Elder joining the fight at various intervals and additional loot gained for each Elder left alive. Don't hurt her she is going green! Freya is an obvious reference to Freyja, the Norse god of love, beauty and fertility. Major changes to several bosses in 3.1.2, here are the Freya changes. * Petrified Bark (Elder Stonebark) charges have been reduced from 80 to 60 in 10-Man, from 220 to 120 in 25-Man. Also, they fixed so you no longer can Spellsteal the Pollinate spell. Watcher powers augmented by presence of elder servants. Analyzing Elder Brightleaf enhancement.... Persistent area defenses powered by solar amplification. Elder Stonebark analysis reveals a sonic defense that disrupts use of magic. Elder Ironbranch scans have uncovered plant-based immobilization mechanisms. In addition, my analysis links each elder to an increase in Freya's spellcasting, physical or summoning capabilities. Destruction of elder servants will result in loss of enhancements on watcher Freya. However, permanent damage to Freya's person and possessions, including her watcher sigil, highly probably. The only critical thing with this fight is to deal with the Detonating Lashers. They don't have an aggro table and their targets are totally random. They will rush from one person to the next, but won't stick to him/her until dead. The best way to deal with these is not doing AOE but single dps'ing them down, because they inflict massive damage when killed. If you AOE them, a very big burst of damage will occur, killing several people. Ancient water spirt can be taunted while casting tidal wave. Place ur back behind a colum and have ur tank taunt it then u dont get knoced back, only if taunt misses will it charge u must taunt while hes casting. Note that the Emblems of Valor increase due to leaving the elders alive, so those are theirs. I can't confirm the 2 elders up loot, but I'm pretty sure I saw a screenshot with it. Freya herself also gains health with leaving elders up. I can only confirm health with 1 elder up, other 2 are speculative. Phase 2 becomes more of a dps race with leaving elders up, keep the enrage timer in mind. We completed this in 10 man, but this info may also be useful if you are attempting it in 25 man. If you wish to see a strategy on beating Freya with 3 Elders alive, please check out my strategy that I posted in the Knock, Knock, Knock on Wood comments. The name "Freya" is actually a exact replica of the name of the Viking goddess. Freya as a viking goddess was in charge of the love, and fertility. Poses the question why blizz has made her out of stone, and as an angry giant. As of just a little bit a ago a guild, Something Diabolical, has now killed Freya with 150 stacks of Attuned to Nature still up. This now shows how its able to be done just requiring amazing DPS. My raid group was having difficulty with Freya's Snaplasher adds until we discovered this tactic...and got her in 1 try. The Snaplasher gets a stack of Hardened Bark every time it is attacked. My guess is DoT ticks probably do not count (not sure). Each stack gives them +10% more damage. If the Snaplasher is allowed to get too many stacks, they can easily 1-shot your raid members, including well-geared tanks. While other strategies recommend kiting the mob, we found removing the buff was easier. This ability can (and should) be Dispelled by a priest, Purged by a shaman, or Spellstolen by a mage from the Snaplasher ASAP. We did not have warlock, but I imagine a Felhunter's Devour Magic would also work, but the 8-sec CD makes it un-spammable. Try not to let the Snaplasher get more than 3-5 stacks. Be aware that the buff stacks will grow quickly under constant raid dps. Also, you can use this nifty macro to auto-raidmark the adds when they spawn. One click marks the Water with a Skull, Storm with an X, and Snaplasher with a Circle. I also use this macro on Hodir's adds. Freya no longer drops sprout bombs in 25 man during Phase 2. We were able to tank her in One spot the entire time. Not sure if this has been nerfed in 10 man though. Killed her 25man yesterday, she still dropped the sprout bombs for us. Below is a macro helpful for catching trees as soon as they spawn, It will clear your current target, and attempt to target the Eonar's Gift mob (http://www.wowhead.com/?npc=33228#comments), if the mob is up and is a valid target this macro will announce so in /rw. ((As posted on the Reins of the Time-Lost Proto-Drake page, http://www.wowhead.com/?item=44168#comments:id=766197) this macro can be modified to fit different situations, by editing the player, mob, or npc you target (the second line, displayed below as /tar Eonar) and if need be the which chat it is announced in (Below the 4th line, changing /rw to any given channel, such as /raid , /party , /guild and so on and so fourth)). The spell cannot be spellstolen anymore. It was at one point, but furthermore, if someone is spamming spellsteal on it, they aren't DPSing. You're far better off DPSing and just killing the wave instead of trying to spellsteal (which, as I said, you can't do anymore on the snaplasher). This is a little offtopic, but I really feel the Pendulum song "Sounds of Life" fits really well to this boss battle. This fight in heroic mode (25 man) is madness if your DPS is not coordinated well, you will suffer wipe after wipe, until you will learn to DPS each add when it's needed and how much is needed, and kill only when u must kill. This fight is the first fight (also VoA Emalon) where DPS must coordinate perfectly in order to succeed. I strongly advice raid leaders to assign teams for each wave type in order to keep DPS under controll. In 3.2, if you're doing Freya+3, you can now escape from Strengthened Iron Roots by using anti-snare mechanisms: i.e. Hand of Freedom, Vanish, Blink, Imp:Shadowform's Fade, etc. I'd imagine druids can shape shift out of it as well. This helps out a lot (especially if you have 2 paladins to rotate Hand of Freedom) since you'd have 1 less DPS on the roots. im sorry to say this but.. If the raid group kills the three gods will she gain sanity again instead of being mad? For anyone whose intersted, Freya (in Norse mythology) is the Godess of love and Fertility. Half of the men who die in battle go up to field of Fólkvangr. This boss (on normal mode) currently can be soloed by a blood DK. All 3 elders are just tank and spanks. Kite brightleaf out of sunbeams, kite stonebark around the tree when he has fists of stone, etc. Each drops ~180g so that's your loot. The flower trash is a nightmare to solo. It can be done, but it's nearly impossible due to the 90% damage reduction aura on the small flowers and their spam heals on the guardian lasher. I ended up kiting the pack I pulled around the main platform where auriaya used to walk, for 5 minutes chains of ice spamming the small adds so they'd be snared far enough away from the guardian lasher for its damage reduction aura to fall off, and let diseases kill them. Overall not recommended if you can avoid it. The other trash packs are nowhere near as annoying. You need to do it in DPS gear. The incoming damage isn't too awful except when the detonating lashers come out, as their attacks are fire damage. Just AOE them all down and ignore the tree that spawns while they're out if it's in a bad spot, they should all die from cleave damage before it can heal them. When the Snap/Stormlasher + water spirit come out, I got the first two down to about 20K then burned the water spirit down as it flying off when at low HP can make killing all 3 together somewhat problematic, especially if a tree comes out. The ancient conservator is also easy and does nothing of consequence, he just melts. It's more or less tank and spank + kill trees as they spawn. The last phase of the fight when there's no adds out is actually the hard part. Freya heals for 6000/sec, but only has 1.4M HP. However because of the 6K healing, you will need to do 10649 DPS over this 5 minute period to down her, which is actually quite difficult because there's next to no incoming damage to give you vengeance, and you still need to kill every tree that spawns plus avoid being knocked back by the seeds (more because of the lost DPS than the damage). You also get rather few rune strike procs in unholy presence due to her swing timer being somewhat slow and there being no adds alive. Upon her defeat, the chest with loot does not spawn. It appears not to spawn if you are the only player in the instance. Just a quick note, she has the same voice actor as Blood Queen Lana'thel from Icecrown Citadel. Note that in overgeared cataclysm groups, just telling people to nuke adds first over anything works pretty well in getting the knock, knock, knock on wood achievement. The damage is easily heal-able with 1 undergeared 85 resto druid, with 3 dps and 1 tank. Soloed this one with 389 full dps gear as a blood dk, and was a bit an overkill, but was needed since I was really a fail at managing adds at the time I killer her the first time. The strategy was: when she spawns conservators, easy, go under a mushroom and kill them; when she spawns detonating lashers, average, kill them as fast as possible, but they will do quite decent damage; when she spawns 3 different adds, hard, the 3rd one must be killed not later than 12 sec after the 1st you kill, so you must be very precise on killing them together, and they also do quite some damage. Besides this, she spawns freya's gifts, which heal a bit all adds and freya if not killed quickly (only like 19k hp on 10 normal), and I found out that the adds die so fast that this is not a big deal on 10 normal, but will be on harder modes. Once you kill enough waves of adds, phase 2 starts, freya heals herself for 6k each second, you will have to kite her away from the seeds and even on normal 10 you WILL have to kill freya's gifts here, else she heals to full or however too much. If you leave 1, 2 or 3 elders alive, the mechanics don't change, she just has more hp and deals more damage, like the adds, gifts, everything, so it's just about your skill + gear how many elders you can leave alive. However, just for reference, done freya +1 at 394 dps gear, freya +2 at 396 dps gear and freya +3 always at 396 dps gear, but this time I had to use some buffs: 300 strength flask, 90 strength and stamina buff and runescroll of fortitude, killed at 35 sec from the enrage. Also 3-manned the 25-man version without elders up (blood dk in dps gear 399, holy paladin 390, fire mage 390), everything has more hp than even 10 hardmode and deals more damage, let the mage kill gifts, since they have 65k and being ranged it's easier, and when the 3 adds which must be killed within 12 sec spawn is incredibly hard here, some of them have close to 900k, so to be sure to not fail (if you fail once and they resurrect more or less it's a wipe) we brought all 3 to 100k, then killed them fast. On phase 2 there are way more seeds, so it's really hard kiting, plus freya heals herself 24k a second and has over 4 millions hp, so will take a while, so we also used time-warp at start of phase 2. We were also able to do this with the holy paladin going ret, but although it goes faster, the damage is really hard to outheal in dps gear doing it this way. Also, usually we had 1 min left from enrage, so there's a chance that 25-man with 1 elder would be possible with this setup, but really at the enrage limit ofc. As last thing, (this is only stuff for statistics) although I'm sorry these records won't last long, in MOP dps is going to rise a lot, atm (could be done faster, my gear is not BiS dps) I managed to kill freya in 4 mins 13, for these speedkill a video would be really nice, but you never know how many tentacles you'll get, got some screenshot ofc (soloing freya +3 was really challenging, done once, got my achis, after that went back to soloing normal freya, more gold since you can also loot the elders), 33.884 dps, full dps gear item level 403, BiS gear is like 408, so could be possible to do under 4 mins, but in this kill I did everything almost instant, every add, etc., and used the combo DRW + ERW + DS spam in the end, which also gave me 2 tentacles, so p2 lasted like 10-15 sec, lol (another strategy I used was spamming HS on freya before the end of p2 already, the healing is very low, so while I was killing the last lashers she already lost like 400k, and also in the other waves of detonating lashers I did the same + cds always). Soloed Knock, Knock, Knock on Wood (10 player) as an Affli Warlock with Voidlord. Elder Brightleaf - increases Magic damage dealt by Freya and her Allies of Nature by 60%. Freya also gains the ability to cast Solar Flare, a nuke that may hit multiple targets. Elder Ironbranch - increases Physical damage dealt by Allies of Nature by 50%. Freya also gains the ability to cast Iron Roots, a single target root with a DoT component. The roots are attackable like Web Wraps which frees the afflicted. Elder Stonebark - increases Physical damage dealt by Freya by 75%. Freya also gains the ability to cast Ground Tremor, a 2 second cast, 100 yard AoE that deals Physical damage and interrupts spellcasts, locking out interrupted spell schools for 8 seconds. Before you pull Freya it is necessary to clear the trash! Remember to kill Eonar's Gift (growing tree) for the whole fight, because it heals the Boss and adds after 12 seconds! P1: As you engage Freya, she will cast a HoT on herself and a buff that increases her received healing by 4% per stack, starting with 150 stacks for a total of +600% healing which makes her basically invincible at the beginning of the encounter. Freya will then spawn six waves of adds (Allies of Nature) in a fixed interval of 60 seconds. Defeating these waves will remove various amounts of stacks from her buff until it is completely removed by the last wave. The waves are one of three different types, cycling through twice in a random order. Ancient Conservator - when he appears, let Voidlord hit add a few times and then order your minion to follow you (before Conservator finishes the cast). Now you need to get under the mushroom, otherwise you will be pacified. Your minion must also be under the mushroom! Ancient Water Spirit, Snaplasher and Storm Lasher - they must be killed within 12 seconds of each other, otherwise they resurrect. 10 Detonating Lashers - just AoE them down. P2: After you defeat all the waves, just defeat Freya. Good Luck and Have Fun! Q: No chest spawned after the kill? A: You killed Freya so fast, that the proper scripts were not executed, thus you bugged the boss. Workaround: Try again next week, and go slower or remove a couple peices of gear. I just was soling her on 25 man trying to farm fragments and after i killed her, like many others the loot chest didn't spawn. Having hit the enrage twice before killing it I'm pretty sure i didn't kill it "too fast". The only thing i can think of that i did out of the ordinary was i skipped pass Auriaya and i'm wondering if that had something to do with the chest not spawning. Have other people experienced this issue under these circumstances? For any herb-related profession people : Freya's garden is gold for you! I have a druid with herbalism/alchemist, and a warlock with inscription. I'll kill Freya and get the alchemist cache, farm all the herbs in there - Adder's Tongue, Lichbloom, Talandra's Rose, etc. In the cache, there's Pygmy Oil aplenty, enough to fetch a handsome price on AH. The herbs themselves can be sold on AH too, right now WotLK herbs also go for high prices. This is because Northrend Inscription Research requires WotLK herbs but no one is willing to farm them heavily. Cheers! Now for the exploding ones, nothing special here, just kill them carefully, since they explode and that might be lethal. Should be just a couple divine storms combined with inquisition. That's about it, don't forget to make a macro going like /tar eonar and below that /cast judgment, really helps. Also, when you pull freya and you prepare for the adds, collect some holy power, it really helps to get a good start. when the stacks fade, you can begin to relax, you only need to do some dps now, don't panic cause she heals, you are doing great, just avoid those roots she casts, every now and then. DON'T use seal of righteousness, it will be a problem at the 3 guys. use justice or truth instead. also try keeping hammer of the righteous buff up all the time, so you get beat up less. This fight is ridiculously easy to solo, even on 25-man hard mode, as of 6.0.2 at level 90. I was almost able to overpower her heal and just ignore the mechanics, but I found it easier to go ahead and kill the packs of mobs and Eonar's Gifts that spawned, then kill her. I wasn't able to overpower her heal after the 6.0.2 hotfix that reduced our epic old raid damage. If you're struggling like I was, kill her adds, it reduces the Attuned to Nature buff. Once this is low enough (I was able to kill her at around 40 stacks) you can smash through the remaining healing and kill her. Just did this. 554 destro lock. Attacked the boss, and would kill off all adds, and green trees I could. I stood near the shrooms that gave dmg boosts and finally killed her when her healing was reduced to about 55, what ever the number stood for.. cant remember. Like I said, takes time.. But you can do it. Freya - the goddess of love and fertility, sister of Frey, daughter of Njord; one of the Vanir. Just beat her on 25H in about 6 seconds. Since her health is so low, if you have half-decent burst (I was doing 548K) you can down her faster than her healing can keep up. Note - if you want to get Con-speed-atory (25 player)/Con-speed-atory (10 player) you have to kill at least one trash mob before Freya to start the timer! As of 7.3.5, the hard mode loot now drops from a chest called Freya's Heroic Gift that spawns next to the normal chest, which now seems to have a static position on the map. Make sure to loot it! Wait for message "Allies of Nature have appeared!" The watcher Freya was formerly a protector of all living things, aided by three stoic elders. Though her conservatory remains lush and verdant, she has also succumbed to the Old God's maddening presence. There are two phases to this encounter - Add phase and a Boss phase. During the Add phase, Freya will heal herself faster than the raid can DPS her, so it is pointless to try to. One tank will need to keep her occupied, but she will not hard enough to make healing on the tank a problem. 1-3 OTs will also be needed, because of the various kinds of adds she spawns. During the Add phase, there will be 6 waves of adds, each wave chosen from a set of three. Freya could summon many Detonating Lashers, which will need to be killed few at a time, because they explode as they die. The second option for a wave is a combination of Ancient Water Spirit, Storm Lasher, and Snaplasher. They need to be picked up by OTs and killed within 10 seconds of each other, or they will all revive and heal. The Stormlasher should be interrupted as often as possible, and the Snaplasher - kited, since his damage increases as he takes more damage. The last option for a wave could be an Ancient Conservator. If he spawns, mushrooms will also start growing all throughout the area - players will need to get under them, or they will be pacified and unable to attack or cast spells. The six waves of adds will come at one minute intervals, where the next wave will spawn regardless of whether you have killed the current one (so if you are low on DPS, you might get overwhelmed with adds). In addition, during both this and the next phase, Freya will spawn Lifebinder's Gifts/Eonar's Gifts (announced by raid warnings), which are growing trees. They need to be killed immediately, or they will heal Freya and her adds after a few seconds. Phase 2, the Boss phase, starts 6 minutes after the beginning of the fight. Her self-healing debuff will disappear when all the adds are dead, so the raid will be able to DPS her. She will start spawning multiple spouts thought the encounter area, which will explode after a few seconds, do damage and knock players back. They should be avoided, as the fight becomes a DPS race in this phase. Brightleaf Flux - Changes Elder Brightleaf's damage and healing randomly every 5 seconds. Solar Flare - Inflicts 7,863 to 9,137 (25 Player: 12,950 to 15,050) Fire damage on a number of targets based on Brightleaf Flux. Unstable Sun Beam - Increases damage and healing done by 5%, stacking up to 10 times. Canceled by Unstable Energy. Unstable Energy - Inflicts 12,950 to 15,050 (25 Player: 16,650 to 19,350) Nature damage and cancels the effects of Unstable Sun Beam. Damage done is modified by the number of stacks of Unstable Sun Beam. Photosynthesis - Heals Elder Brightleaf for 10,000 damage every 1 sec. Used while inside a Sun Beam. Impale - Inflicts 16,650 to 19,350 (25 Player: 32,375 to 37,625) Physical damage every 1 second for 5 seconds. Stuns the target. Iron Roots - Summons Iron Rootss that root a player and inflict 5,550 to 6,450 (25 Player: 7,800 to 8,200) Nature damage every 2 seconds to them. Lasts until the roots are dead. Thorn Swarm - Inflicts 8,325 to 9,675 (25 Player: 12,488 to 14,512) Nature damage to enemies within 6 yards of the target. Fists of Stone - Decreases movement speed by 20%, increases damage done by 250% and gives Elder Stonebark's attacks chance to cause Broken Bones, which renders the target unable to dodge, parry or block. Ground Tremor - Inflicts 8,550 to 9,450 (25 Player: 11,400 to 12,600) Physical damage to the entire raid, and interrupts spellcasting for 8 seconds. Petrified Bark - Causes melee attacks to damage the attacker as well. 60 charges (25 Player: 120). Sunbeam - Inflicts 5,088 to 5,912 (25 Player: 7,400 to 8,600) Nature damage to enemies within 8 yards of Freya's target. Attuned to Nature - Increases healing done to Freya by 4%. Starts at 150 stacks, or 600%. Touch of Eonar - Heals Freya for 6,000 (25 Player: 24,000) every 1 second. Lifebinder's Gift Summon - Summons an Eonar's Gift, which uses Lifebinding Heal after ~12 seconds, healing Freya and her allies for 30% (25 Player: 60%) of their maximum health. Eonar's Gift's Pheromones negates the effect of Conservator's Grip on nearby players. Summon Allies of Nature - Summons one of the three following waves of adds every minute. Total of 6 waves will be summoned. Killing any of the adds reduces the number of stacks of Freya's Attuned to Nature. Detonating Lasher - Each of the 12 Lashers reduces Freya's Attuned to Nature by 2 stacks. They will attack with Flame Lash and Detonate for 4,163 to 4,837 (25 Player: 6,825 to 7,175) Fire damage when they die. Elemental Adds - each one of those reduces Freya's Attuned to Nature by 10 stacks. Ancient Water Spirit - Attacks with Tidal Wave, which inflicts Frost damage in a frontal cone. Storm Lasher - Attacks with Stormbolt for 6,013 to 6,987 (25 Player: 8,788 to 10,212) Nature damage. Also casts Lightning Lash for 5,088 to 5,912 (25 Player: 6,938 to 8,062), which hits up to 3 (25 Player: 5) targets. Ancient Conservator - Reduces Freya's Attuned to Nature by 30 stacks. Applies Conservator's Grip when he spawns, preventing players from attacking or casting spells. Getting under one of the many Healthy Spores or an Eonar's Gift negates the effect. He will also debuff players with Nature's Fury, which cause the debuffed player to damage nearby allies for 4,163 to 4,837 (25 Players: 5,550 to 6,450) Nature damage every 2 seconds for 10 seconds. Nature Bomb - Summons immobile Nature Bombs around the feet of random raid members. The bombs use Nature Bomb after a few seconds, inflicting 5,850 to 6,150 (25 Player: 8,775 to 9,225) Nature damage to enemies within 10 yards and knocking them back. Used frequently 6 minutes into the fight. Elder Brightleaf - Allows Freya to cast Unstable Energy, which places up to 3 Sun Beams similar on Brightleaf's on the ground. The Sun Beam inflicts 5,850 to 6,150 (25 Player: 8,288 to 8,712) Nature damage every 1 second to enemies within 4 (25 Player: 5) yards for 10 seconds. He also buffs Freya and her Allies of Nature with Brightleaf's Essence, which increases their Magical damage by 60%. Elder Ironbranch - Allows Freya to cast Strengthened Iron Roots, which summons Strengthened Iron Rootss around a player. The Iron Roots use Iron Roots, which inflicts 6,013 to 6,987 (25 Player: 7,863 to 9,137) Nature damage every 2 sec, and roots the target until freed. Killing the roots frees the target. He also buffs the Allies of Nature with Ironbranch's Essence, which increases their Physical damage by 50%. Elder Stonebark - Allows Freya to cast Ground Tremor, which inflicts 5,250 to 6,750 (25 Player: 7,600 to 8,400) Physical damage to the entire raid and interrupts spellcasting for 8 seconds. He also buffs Freya with Stonebark's Essence, which increases her Physical damage by 75%. In addition, each Elder left up will increase the health of both Freya and her adds. Freya yells: Children, assist me! Freya yells: Elders grant me your strength! Freya yells: Eonar, your servant requires aid! Freya yells: His hold on me dissipates. I can see clearly once more. Thank you, heroes. Freya yells: The Conservatory must be protected! Freya yells: The swarm of the elements shall overtake you! Overview – During Stage One stacks of [Attuned to Nature] must be removed by defeating the Allies of Nature. Once the Allies of Nature are defeated Stage Two will begin. Spread out to avoid damage from [Detonate] while the Detonating Lashers are present. Interrupt [Lightning Lash] cast by the Storm Lasher. Be near a Healthy Spore to prevent being Silenced or Pacified by the Ancient Conservator's [Conservator's Grip]. Destroy the Lifebinder's Gift before Freya is able to cast [Lifebinding Heal]. Be quick to gain the attention of enemies summoned by Freya's [Summon Allies of Nature]. Attuned to Nature – Increases healing received by 10%. Defeating Allies of Nature will remove stacks of Attuned to Nature. Touch of Eonar – The pressence of the Lifebinder heals Freya for 29 health every 1 sec. Sunbeam – Inflicts 26 Nature damage to enemies within 8 yards of the target. Lifebinder's Gift – Summons Eonar's Gift. Lifebinding Heal – After Eonar's Gift grows to full strength Freya will cast Lifebinding Heal which heals Freya and all of her minions for 30% of their health. Summon Allies of Nature – Summons allies of Freya to assist in the battle to protect Ulduar. Detonating Lasher – Detonating Lashers fixate on random enemies. Flame Lash – The Lasher inflicts Fire damage equal to 150% of their melee damage. Flame Lash causes the Detonating Lasher to attack a random enemy. Detonate – The Detonate inflicts 21 Fire damage to enemies within 10 yards. Conservator's Grip – The grip of the Protector prevents attacking and casting spells. Nature's Fury – Infects an enemy for 10 sec., causing it to inflict Nature damage to its nearby allies every 2 sec. Potent Pheromones – The Potent Pheromones ward off the Conservator's Grip. Increases damage dealt by 25%. Tidal Wave – Surge forward through enemies in a line. Stormbolt – Inflicts 31 damage to an enemy. Lightning Lash – Strikes an enemy with a lightning bolt that arcs to another nearby enemy. The spell affects up to 3 targets, inflicting greater Nature damage to each successive target. Hardened Bark – Attacks made against the Lasher trigger the protective bark to grow, increasing damage and slowing move speed. Stacks. Once [Attuned to Nature] has been removed Stage Two begins. Nature Bomb – Summons several Nature Bombs that after a delay inflict 43 Nature damage to enemies within 10 yards of the bomb, knocking them back. Unstable Energy – Inflicts 24 Nature damage every 1 sec to enemies within 4 yards for 10 sec. Brightleaf's Essence – The essence of Elder Brightleaf increases Magic damage dealt by Freya and her Allies of Nature by 25%. Iron Roots – The grip of the Iron Roots inflicts 14 Nature damage every 2 sec and roots the target until freed. If the Iron Roots surrounding the targets are killed, the target will be released. Ironbranch's Essence – The essence of Elder Ironbranch increases Physical damage dealt by Allies of Nature by 25%. Ground Tremor – Deals 29 Physical damage to all enemies, interrupting any spells being cast for 8 sec. Stonebark's Essence – The essence of Elder Stonebark increases physical damage dealt by Freya by 25%.